The 65 Roses Gala is British Columbia’s single largest fund raising event for cystic fibrosis research and clinical care. After the success of last year’s branding, the Vancouver and Lower Mainland Chapter of Cystic Fibrosis Canada approached us to once again develop the brand, creative strategy, and event design, for their signature event. This year was particularly special, as it was also the 15th year, or crystal anniversary, of the gala event. Similar to last year, the gala committee had their heart set on using rose-inspired imagery. They provided us a painting of a rose as inspiration, and requested we develop a creative solution using it as the foundation of our design. They also wanted the event design to capture the idea that this year was the ‘crystal anniversary.’ Finally, they challenged us to explore the use of ‘tiffany blue,’ the primary colour for the event, in the design, in a welcoming fashion. 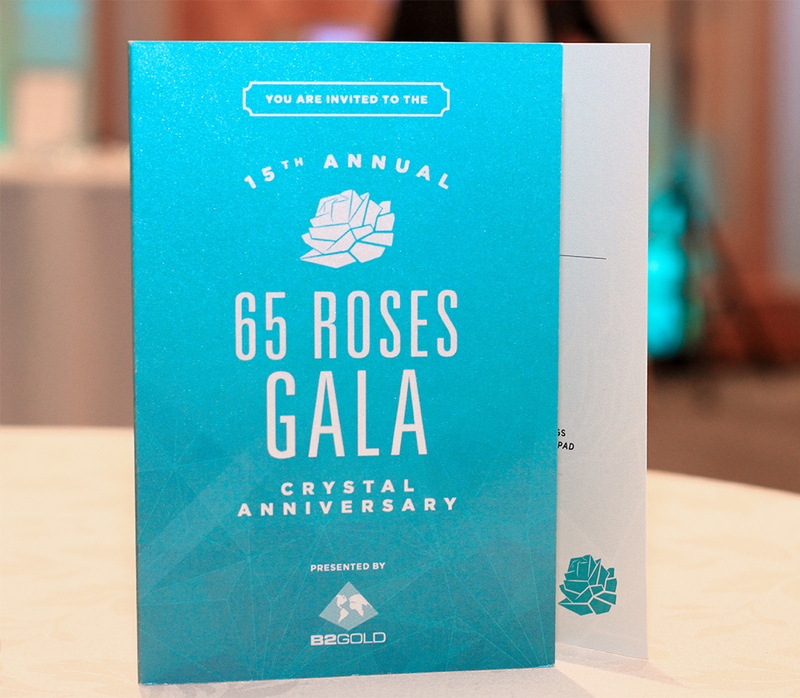 I am so pleased to hear that your team will be branding the 65 Roses Gala again this year. We love your work and are so fortunate that you have chosen to help us out again this year. Thank you! Combining the image of a rose with the crystal motif was our first hurdle. As the rose was to be the backbone for all event design, it was vital to develop a solution that was both impactful and versatile. To achieve this, we spent many hours researching crystal and glass sculptures, curious about how their fragmented surfaces interact with each other, and refract light. Using these observations, we illustrated a ‘crystal’ version of our rose using these qualities. A textured background was also created to compliment the work, and complete the event design. 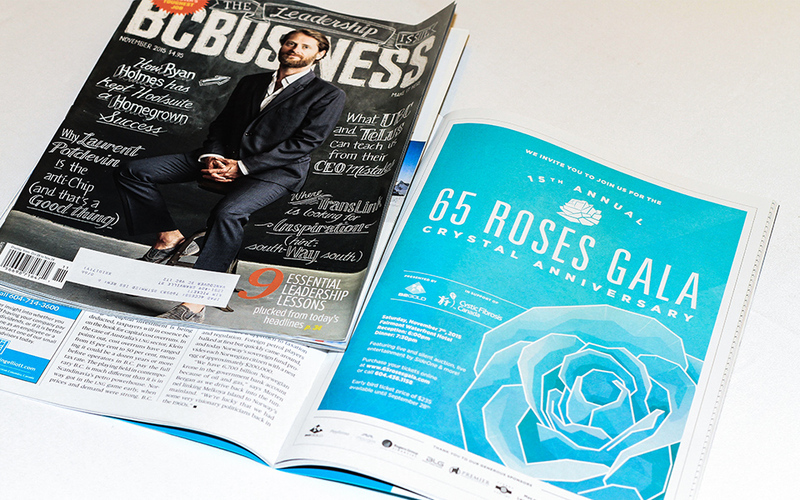 Next, we developed a simplified version of that same rose, which we integrated with the event logotype. The first rose we created was intended to function as an aesthetic background element for the branding materials, but we also made a compact version using the same concept, for use in the event logo. The logo was designed to be extremely flexible in appearance, consisting of three main variations on the design elements. 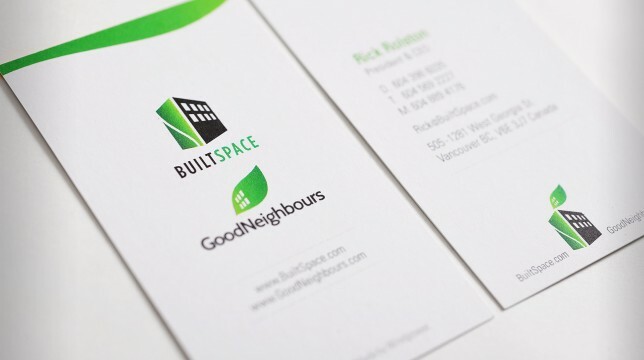 They were optimized for different display sizes, because having a simplified rose was integral to cohesively connecting all the branding elements. The showpiece is definitely the gala event invitation. Since it functions as the point of first contact, it was crucial that we create an invitation that was both striking and memorable. Our solution, printed on a special paper, catches and refracts the ambient light. It is a trifold, created to dramatically unveil each section in stages. Unfolding the first panel shows the large detailed rose illustration, while unfolding the second panel reveals the written information. The cool ‘tiffany blue’ colour palette is countered with hints of warm grey. This balance lends a crisp yet welcoming mood to the design. 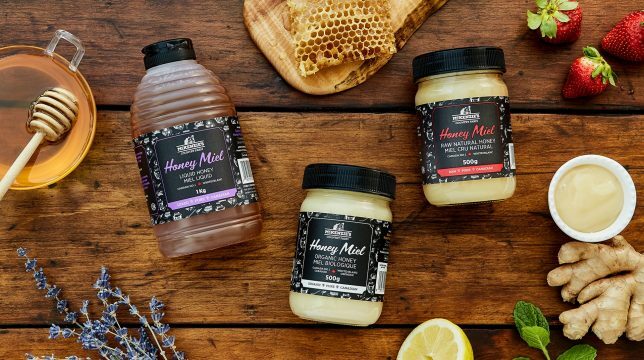 The typography is modern and approachable, while reflecting the polished, delicate forms found in crystal shapes. 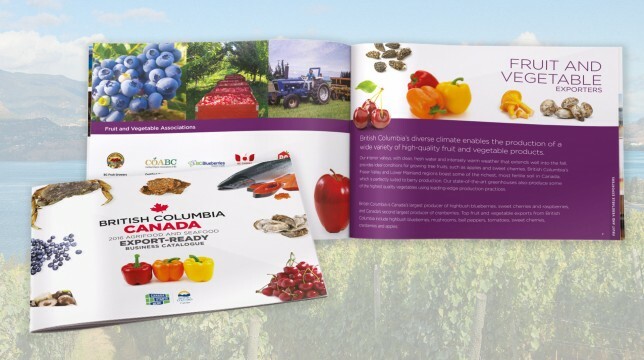 The same approach was used for creating the 64 page event program. This program served as the reference guide to the evening’s events, as well as the items that were featured in the live and silent charity auctions. A sample of page designs showcasing different content and layouts can be seen below. The gala committee was thrilled with our event design and branding efforts, and the guests had nothing but positive comments about the event. Cystic Fibrosis Canada is happy to report that the event itself managed to raise just over $380,000 for cystic fibrosis research and clinical care. 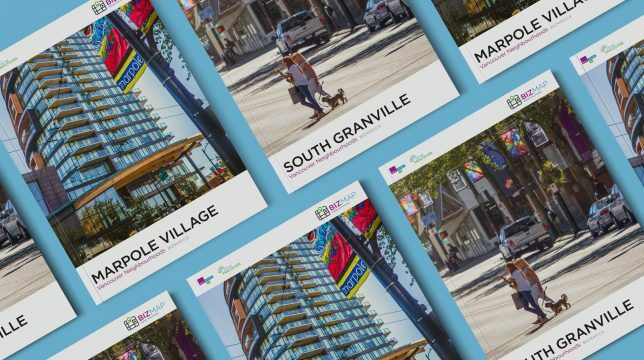 Increased demand from the success of last year’s event, which required a venue shift this year to the larger Fairmont Waterfront in downtown Vancouver, was translated into the largest attendance numbers in the event’s 15 year history, through our effective event design.